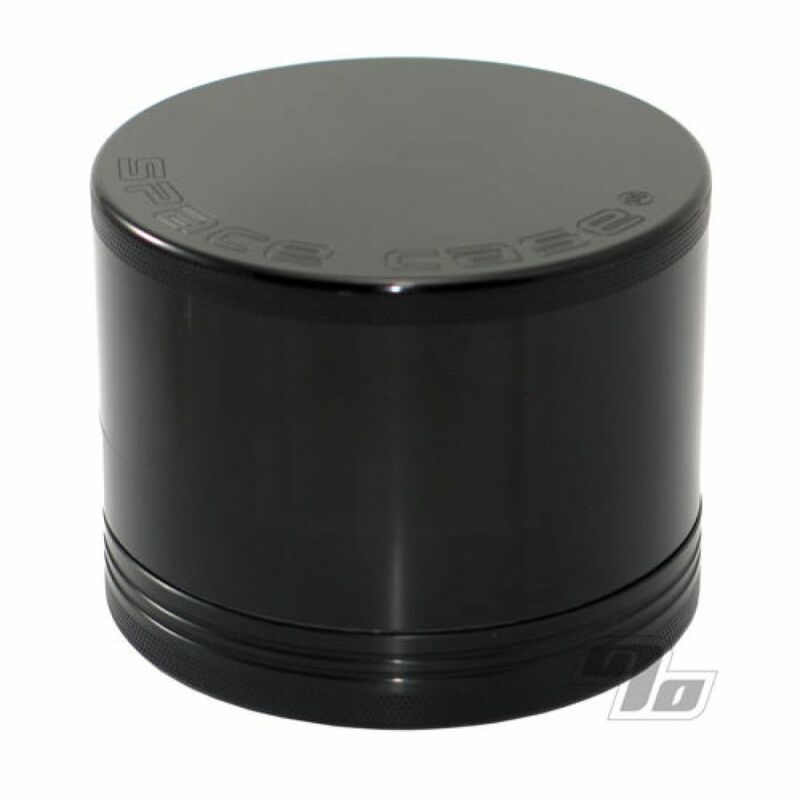 Space Case Titanium Grinder Sifters are cut from solid aircraft aluminum and anodized with a special titanium alloy. This finish takes the finest grinder and adds increased durability and scratch resistance as well as a non stick surface. Stage 2 is the sifter and storage portion of the Space Case. All the medium size pieces are captured while the finer particles (pollen) make it through the stainless steel sifter screen to the next stage. Genuine SpaceCase Grinder Sifters are made in the USA from the finest materials, finished to perfection and as such cost a little more. Guaranteed for life; No Questions Asked (if real)! Be wary of cheap knock-offs. Grinder/Sifter works well, however on the pricey side. Must be the titanium. No regrets buying one. Shouldn't have to buy another one in my lifetime. The ground material is fluffy. Cutting material up with scissors is HISTORY. My old space case is circa 1999 and still works. The care and workmanship that goes into this Titanium grinder has yet to be topped. If you want to buy a grinder once... or in my case every 16+ years then go space case. Support Made in USA. This product works as advertised. Fair price. Once in a Lifetime, cheap compared to product used in it! I bought the SpaceCase Titanium Grinder around a thousand days ago on 2011. Ever since the first day, I fell deeply in love with my grinder. I've recommended it to everyone that has something to do with the huge grinder! I basically opine that this grinder is perfectly crafted to offer easy grinding with no drag or stoppage, nice size grind that can be augmented by simply turning over your grinder downwards while you grind and the product doesn't even filter into the seams. The dust hardly adheres to the black finish which therefore ends up in the last chamber which is very plentiful! The "dust" this grinder accumulates could probably double or triple the amount of "dust" produced in my buddies hardware. 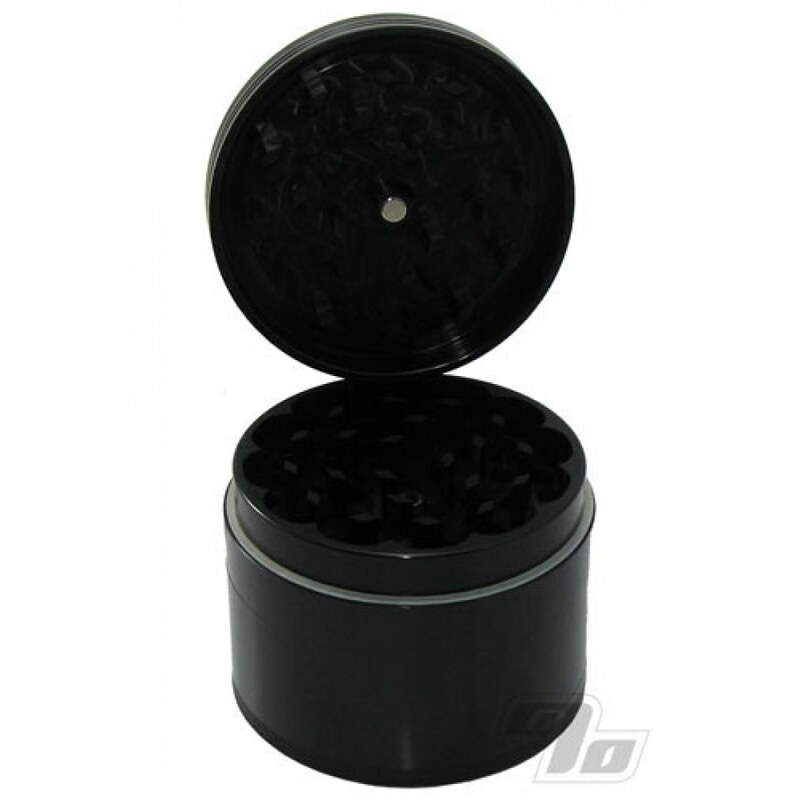 This grinder is a one time investment, and since you're basically married with your grinder, you might as well get the best one out there. It's amazing in every single way a grinder can be. Ground up 5.5 and still had plenty space. What was I grinding with before i bought this? This grinder is so good in fact that i probably wont ever buy another grinder again. Bought another one for the house. These are the best quality grinders out there. Don't forget to leave the triangle in the collection chamber, which will help knock the keef down through the screen. Grinds so smooth! Holds a bunch. Sifter works well and will accumulate a ton of keef.